Sudoku- this amazing game can keep you occupied for hours at length depending upon the level of difficulty you choose. It is fun and easy to play and anyone can learn it. 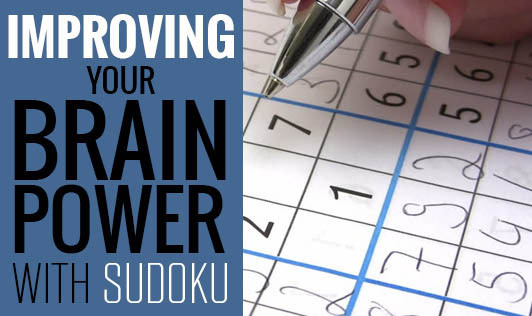 In fact, many studies have proved that Sudoku helps keep the mind sharp and significantly delays dementia by tuning your brain to think differently. This number game involves a 9 x 9 matrix divided into 3 x 3 cubes. All nine cells in a row or column have numbers (arranged in different order) from 1 to 9. The player has to ensure that each number appears just once in a row or column. Increases Concentration: Since you are making the best use of your focusing ability, you find your mind concentrating better on other things. Enhances Memory: Sudoku requires you to remember the used numbers while filling the other empty cells. This definitely enhances your memory. Boosts Logical Thinking: Since you are engaging yourself in accomplishing a pattern (of numbers), your ability to think logically definitely increases. Quick Decision Making: You can time your game too. It helps you think quickly and make decisions at lightening fast speed. Most of all, Sudoku’s best use perhaps, lies in avoiding the chances of one being affected by Alzheimer’s disease. This game can be a great source of happiness too, as you completing each puzzle successfully will surely give you a new high. The higher the difficulty level, the happier your state of mind will be.